For most data centers and network service providers, if you want to be competitive, you must continually improve your network speed to meet people's growing network needs. Over the past few years, 40G networks is very popular, and now according to authoritative statistics, by 2018, the world will have 38% of service providers to deploy 100G network, which means 100G era has arrived. 100G optical module is an important part of the 100G network, and 100G QSFP28 optical modules is the industry's most respected 100G optical module, this tutorial will be introduced in detail. The encapsulation of 100G QSFP28 optical module and 40G QSFP + optical module is the same , and both are using four Fiber Channel to transmit data, the difference is that the transmission rate of 100G QSFP28 optical module fiber channel can be up to 28Gbps, mainly for 100G transmission applications Compared to 100G CFP optical modules, the 100G QSFP28 optical module is better suited for high-density cabling and is widely favored by most data centers. 100G QSFP28 optical module first appeared in 2013, after several years of development, 100G QSFP28 optical module has been derived from a number of categories, respectively, with different optical module standards and suitable for different transmission applications. 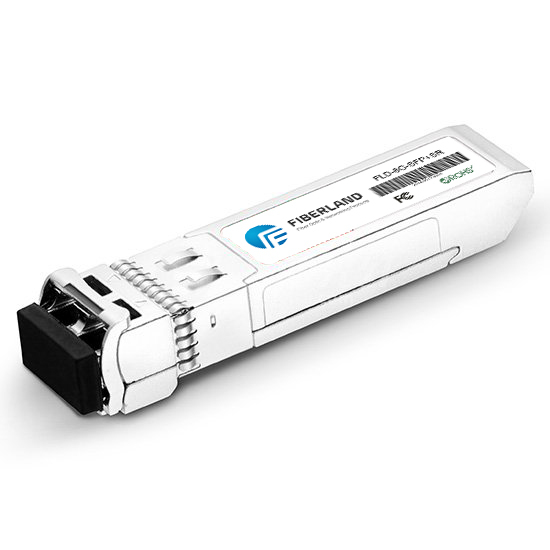 Because most of the multi-mode fiber used in the data center, so the IEEE 100G QSFP28 optical module developed a special support for multi-mode fiber short-distance transmission applications standards: 100GBASE-SR4.100GBASE-SR4 QSFP28 optical module using MTP interface (8 Core), the transmission distance of 70m when using with the OM3 multi-mode fiber and OM4 multimode fiber with the transmission distance is 100m. For 100G long-distance transmission, IEEE also developed 100GBASE-LR4 standard for the 100G QSFP28 optical module. 100GBASE-LR4 QSFP28 optical module also uses four fiber channel; the difference is that it introduces the WDM technology, four different wavelengths of Fiber Channel can be multiplexed onto a fiber for transmission, so 100GBASE-LR4 QSFP28 optical module Is the duplex LC interface, with the single-mode fiber used when the transmission distance can reach 10km. 100GBASE-PSM4 is a multi-source protocol (MSA), mainly for 100G QSFP28 optical module development. 100GBASE-PSM4 QSFP28 optical module is mainly used for long-distance transmission applications, the use of MTP interface (8-core), and single-mode multi-core fiber with the transmission distance can reach 500m. 100GBASE-CWDM4 is also a multi-source protocol (MSA), 100GBASE-CWDM4 QSFP28 optical module also introduced the WDM technology, the use of duplex LC interface, and single-mode fiber with the transmission distance can reach 2km, its transmission distance is shorter than 100GBASE-LR4 QSFP28 light module and the price is much cheaper. In addition to 100G QSFP28 optical modules, 100G QSFP28 high-speed cable has also been widely welcomed, because this product can greatly reduce the cost of 100G short-distance transmission. There are two types of 100G QSFP28 high-speed cable: QSFP28 to QSFP28 high-speed cable and QSFP28 to SFP28 high-speed cable. QSFP28 to QSFP28 high-speed cable at both ends are QSFP28 fiber optic transceivers; QSFP28 to SFP28 high-speed cable is one end of the QSFP28 fiber transceiver device, the other end is four SFP28 fiber transceivers. In general, 100G QSFP28 high-speed cable length is not more than 5m.